The Democratic Progressive Party’s (DPP) independence clause is a non-issue and should be treated as such. Judging from the attention it has received in recent weeks, one would think that the matter was a major policy issue, a pivotal moment in the history of Taiwan’s main opposition party, the Democratic Progressive Party (DPP). 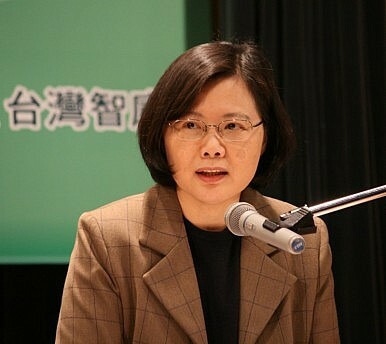 The object in question was the “independence clause” in the party’s charter and whether, as some have argued, it should be “frozen.” And yet, during the national party congress on July 20, chairperson Tsai Ing-wen [full disclosure: I’m a Senior Member at the Thinking Taiwan Foundation, a think tank Tsai founded] dodged the controversial bullet — and rightly so, as it is, for all intents and purposes, a non-issue. The clause, inserted into the charter at the party’s creation in the 1980s as Taiwan was emerging from decades of authoritarian rule, sets a de jure independent country, ideally known as the Republic of Taiwan, as a core objective for the party. For reasons that have very much to do with pressure from the U.S. and the military threat from China, which in 2005 “legalized” the use of force by passing the Anti-Secession Law, the clause has remained unrealized. In its place, despite growing public self-recognition as ethnically Taiwanese and rising support for independence, Taiwan — officially known as the Republic of China (ROC) — has settled for a relatively comfortable and uncontroversial “status quo,” which supports neither unification with the People’s Republic of China (PRC) nor formal independence, but allows for the functioning of the state as an independent country. In that sense, the DPP has learned to live with this reality. On May 8, 1999, it passed the Resolution on Taiwan’s Future, which affirms that Taiwan is “a sovereign and independent country” and that it is not part of the PRC. The seven points in the Resolution’s proclamation leave no doubt as to the DPP’s recognition of Taiwan as a legal entity that meets all the criteria for statehood, including the ability to engage in relations with other countries and to participate in international organizations such as the United Nations. Since then, the Resolution, not the Clause, has served as the guiding light for the party, a fact that Tsai reaffirmed on July 20. Acknowledging that Taiwan, which for the time being is officially known as the ROC, is already an independent state obviates the Clause and makes it easier for the party to avoid the pitfalls that the latter could have created, such as the referendum and timelines for the realization of de jure independence. The recent controversy over a proposal by some individuals who, it must be said, lie on the peripheries of the DPP, to freeze the independence clause has therefore created a far greater stir than the matter deserves. Why it didn’t go away, and why Tsai was forced to brush it aside at the party congress on July 20, was the result of efforts by the pro-Chinese Nationalist Party (KMT) media to compound the controversy and machinations by factions within the DPP that are seeking to undermine Tsai’s position, some of them for the simple, albeit precambrian belief, that women should not involve themselves in politics. Both gambits served the purpose of keeping Tsai distracted by forcing her team to extinguish fires, while potentially widening the chasm between green factions. Some proponents of freezing the clause aver that doing so would help the DPP win elections. Conversely, opponents argue that freezing the clause would vaporize the party’s ideological foundations while fostering the impression that the DPP is now acquiescing to Beijing’s “one China” framework. Tsai, in a bid to buy time, argued that there was no consensus on the matter and wisely deferred debate on the subject to a future congress. Those who remain apprehensive about a DPP move to shelve the independence clause in the party’s charter need not lose sleep over the matter. It probably won’t do so, and even if it did, the party’s ideology would not be altered by the fact, as Tainan Mayor William Lai made perfectly clear during a visit to Shanghai in June. In the end, the DPP remains adamant that the future of Taiwan is to be determined solely by its 23 million people. The only damage that could result from freezing the clause would be self-inflicted, that is, if “deep green” DPP members turned the decision into a casus belli to unseat Tsai, who at this point is undoubtedly the party’s most formidable candidate for the presidential elections in 2016. This is a trap that the green camp should avoid setting against itself. Proponents of a freeze should understand that if the DPP is to make any headway in terms of its ability to work with China — it, too, realizes that Taiwan cannot ignore the elephant in the room — it is viable policies with enough appeal within Taiwan (including among “light blue” and swing voters) that will make this possible, not the removal of a few words in a single document. To believe that the simple freezing of a by now almost meaningless clause would appease the more pro-China KMT as well as officials in Beijing is an abdication of responsibility, as success in that area requires a lot more heavy lifting. In other words, when it comes to cross-strait relations, there is no magic bullet. Tsai’s prevarications on the freeze likely stem from her understanding of the realities just mentioned. Her best bet, therefore, will be to craft China policies that succeed both in promoting cooperation between her party and the KMT on relations with China and in appeasing members of the green camp who fear that too much rapprochement will lead to Taiwan’s absorption by China and, with that, the end of the Taiwan dream. Tsai will also need to reassure Beijing that she is not about to unilaterally change the status quo, which regardless of whether the DPP retains the independence clause or not, she would not do, given the stern opposition from Washington and the potentially catastrophic response that this would attract from Beijing. Unless the context in which Taiwan operates were to change dramatically (e.g., the renunciation of force by Beijing or the collapse of the CCP), Tsai would continue to abide by the status quo, which constitutes tacit recognition of Taiwan as a sovereign and independent country. Rather than exhaust time and energy bickering over an old inconsequential clause (inconsequential not because independence is an unworthy goal, but rather because it already is a fact), Tsai and the DPP should do everything in their power to finally craft cross-strait policies that work for Taiwan. Tsai appears committed to doing so. The question is, will other elements within her party, especially those who purport to be fighting for Taiwan’s independence, choose to cooperate, or will they put more parochial short-term interests ahead of the country? Tsai Ing-wen’s Cross-Strait Policies: Vague By Design? Taiwan's new president is vague on cross-strait ties, but that might be by design.